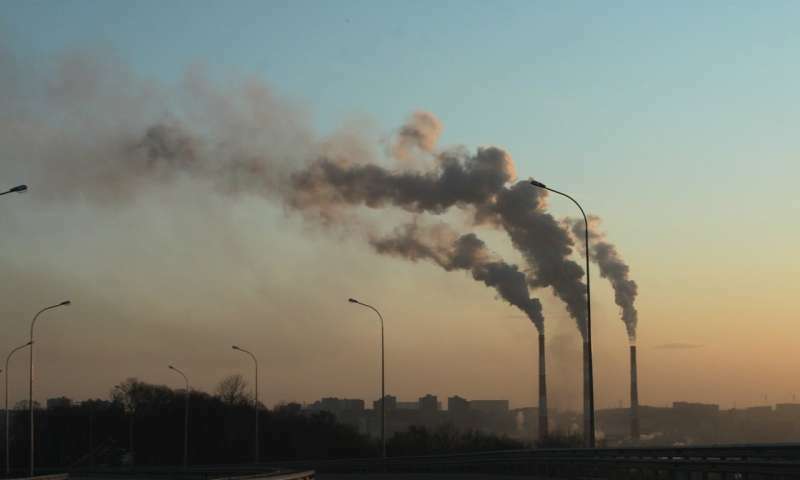 More than 6.1 million people worldwide die each year as a result of exposure to air pollution, which increases the risk of cardiovascular disease, lung disease, and cancer. In India, which contains many of the world's most polluted cities, the annual death toll from air pollution exceeds 1.6 million. Now, research led by scientists from the School of Earth and Environment shows how implementing stricter emissions standards in India could save hundreds of thousands of lives each year. One of the most dangerous components of air pollution is fine particulate matter (PM2.5), nanoscopic particles and droplets produced by burning fuels, which travel deep into the lungs and bloodstream and damage the lungs and heart. On average, Indian citizens are exposed to PM2.5 concentrations between 15 and 32 times higher than the air quality guidelines set forth by the World Health Organization, and scientists project that India's PM2.5 levels will double by 2050 relative to 2015. In New Delhi, one of the world's most polluted megacities, PM2.5 concentrations have reached more than 1,200 micrograms per cubic metre, 48 times the guideline established by the World Health Organization. The Indian government has policies in place to reduce the rapid rise of pollution, such as curbing emissions from buses and trucks and expanding the household use of liquified petroleum gas to replace solid fuels. The study, published in GeoHealth, compared India's existing and planned policies to a more aggressive plan to reduce emissions. The team used a high-resolution computer model to estimate the pollution levels people breathe at ground level throughout India and test how different emissions policies would affect their exposure and health. The team found that under India's existing and planned policies, dubbed the New Policy Scenario, the rate of growth in Indian citizens' exposure to pollution decreased by 9 percent. Compared to the present day, that plan of action will avert about 61,000 premature deaths in 2050. A more aggressive plan, called the Clean Air Scenario, would decrease the rate of growth in air pollution by about 65 percent and avert around 610,000 deaths. Study lead author Luke Conibear, postgraduate researcher from the Institute for Climate and Atmospheric Science, and the EPSRC Centre for Doctoral Training in Bioenergy, said: "India's 'business-as-usual' economic and industrial growth is predicted to increase emissions and further worsen ambient PM2.5 concentrations. Our results show that small emission changes bring small improvements to air quality and human health. "Throughout the country, the Clean Air Scenario stands out as the most effective way to reduce ambient concentrations and alleviate some of the burden from the subsequent diseases." Study co-author Dominick Spracklen, Professor of Biosphere-Atmosphere Interactions at Leeds, said: "Our study shows that particulate pollution across India is currently so bad that really stringent emission controls are needed to bring down air pollution to levels that will result in substantial health benefits." Even with zero emissions growth, India's rapidly growing and ageing population means that the rates of disease and premature mortality caused by air pollution will increase by 75 percent from 2015 to 2050. Despite that grim statistic, the team argues, hundreds of thousands of deaths could be avoided through tighter emissions standards—like cleaner iron and steel manufacturing—and universal access to clean household energy.